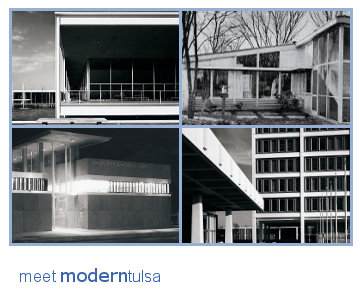 This Thursday evening the modnauts from the Tulsa Foundation for Architecture (TFA) will be hosting a free open house: Meet Modern Tulsa. Modern Tulsa Gems: can you name them all? 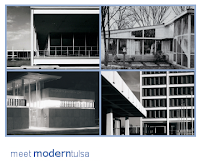 The Modern Tulsa group is a part of the TFA that focuses on Tulsa's more recent architectural past. The movers and shakers of this intrepid group (including yours truly) have selected some juicy bits of Tulsa mod from the extensive archive of architectural drawings, photographs and ephemera in TFA's collection. This is a chance for people outside the preservation and architectural communities to learn more about Modern Tulsa, and the Tulsa Foundation for Architecture. On display will be architectural drawings, photographs and video of historical building and homes from the heyday of postwar design. Refreshments will also be provided. The event is free and open to the public.